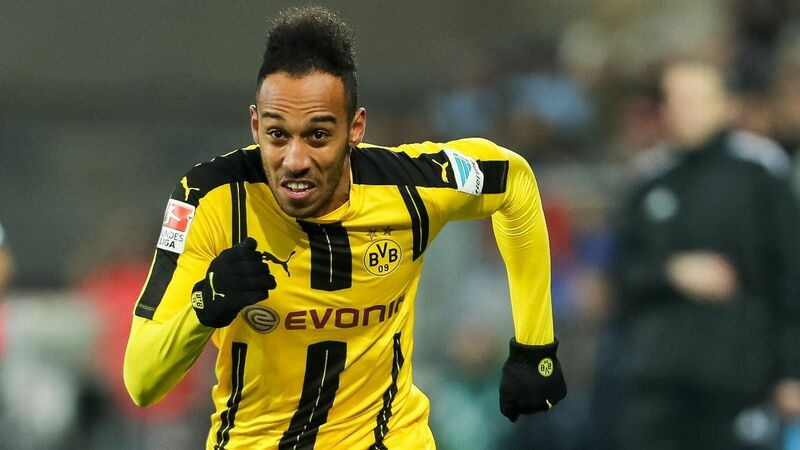 It appeared almost a formality that Arsenal were going to land Pierre-Emerick Aubameyang from Borussia Dortmund during the January transfer period without a hitch, although after supposedly having their first bid of £39m plus £4m in incentives rebuffed, the chance of the Gunners grabbing the Gabonese striker now seem even slimmer. According to German outlet Kicker, Dortmund are allegedly not best pleased with the north-Londoners’ second attempt to land the 28-year-old, a shallow £45m offer which was subsequently rejected yet again by the Bundesliga giants. It’s said that BVB value the vigorous attacker nearer the £61.5m mark specifically, and though it’s thought that Olivier Giroud was to be included in any tabled proposal from Arsenal, Dortmund aren’t prepared to continue negotiations until a ‘realistic’ advance is made by the Premier League outfit. Aubameyang was absent from his squad’s 1-1 draw against Hertha Berlin on January 19th and throughout the last 15 months at the Signal Iduna Park he has been internally disciplined by the club on three separate occasions, misconduct which has previously seen him omitted from the match-day XI. But in order to keep the searing hit-man sharp, ‘Auba’ is set to return to the fold for their next domestic outing against SC Freiburg this coming Saturday, an encounter where he’d presumably want to showcase his prolific credentials, being one of the planet’s most ruthless offensive threats with Arsenal gazing on admiringly. Aubameyang’s heart is supposedly yearning for a mid-season jump to the Emirates, and with 21 goals to his name during the 2017-18 campaign, Arsene Wenger would be wise to meet the German club’s inflexibly stubborn financial demands given the fundamental fact that he systematically renders goalkeepers hapless. Share the post "Arsenal’s Pierre-Emerick Aubameyang deal in jeopardy"